I was asked last month if I could record a video illustrating the KP2 Sheridan rifle trigger group and all the need parts for it to function. Sheridan KP2 Trigger Group side view. This trigger group came out of a PMI / Sheridan KP2 rifle that I disassembled a few months back. It’s stock and in good shape but the sear does show some wear on the ridges where it catches the hammer. Sheridan KP2 Trigger Group top view. It uses the rocking safety, which has a F (Fire) and a S (Safety) on either side. You push the notch to select either one. Sheridan KP2 Trigger Group bottom view. The safety is attached on at the base with two screws. Sheridan KP2 Trigger group Bottom Side view. Sliding the safety to the off position blocks the trigger from releasing the sear by positioning an upright ridge under the trigger. 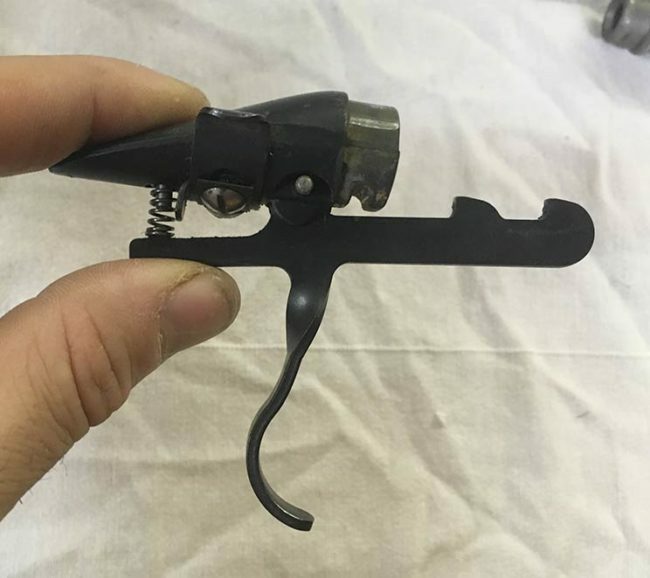 Sheridan KP2 Trigger group parts. 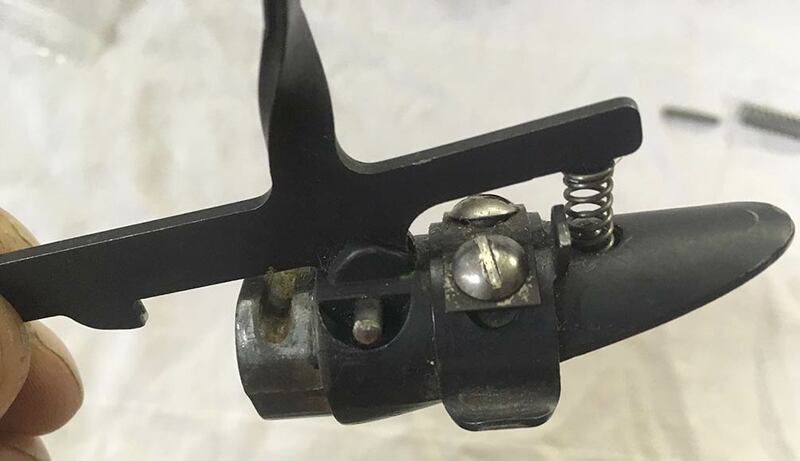 This view details the trigger group which includes the trigger, back cap, trigger spring, trigger spring pin, trigger pin, body pin (both the same length and available here), and the safety assembly. This trigger assembly also fits the K1, K2 and KP2 rifles. 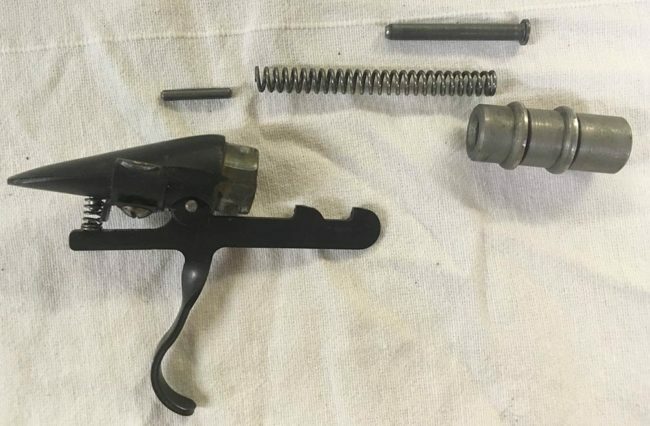 This set up should work in Sheridan Blue Streak Rifles but Blue Streak rifles typically use a single sear trigger and hammer so the part are not interchangeable. Find Sheridan rifle parts here. And find more Sheridan articles here. A variety of WGP Ammo Boxes for So Cal Stock's upcoming Ammo Box Game this weekend at Jungle Island in Lake Elsinore. Most of the semi Pneumatic components that are needed to turn a PMI pump Trracer into a Semi Automatic.